Located in Toronto, Ontario, CST Consultants Inc. advocates, develops, delivers and supports solutions to enable every Canadian resident to have sufficient financial resources to pursue post-secondary education. 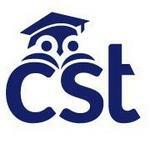 CST Consultants Inc. offers the Registered Education Savings Plan which includes various RESP plans to choose from such as the RESP Family Plan and more. Products Carried: Based in Toronto, Ontario, CST Consultants Inc are the specialists in education savings for post-secondary education who deliver low risk, hassle-free RESP Canada solutions. Dedicated to helping Canadian families save for their children's education, CST Consultants Inc offer various RESP plans, bursaries, group savings plans, and also plans for student scholarships.